Dr. Czyrny is board certified in Physical Medicine and Rehabilitation as well as Electrodiagnostic Medicine. He is the co-inventor of the StimSox™ device with Robert E. Kaplan, MD. His clinical expertise includes rehabilitation of patients with significant musculoskeletal injuries, brain injury due to trauma or stroke, and spinal cord injury. 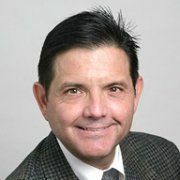 He has numerous peer-reviewed publications in the areas of electrical stimulation, electrodiagnostic medicine, as well as measuring outcomes and interventions after serious trauma or illness. He has presented at several national and local conferences in these areas. He is a graduate of the University at Buffalo School of Medicine and Biomedical Sciences, and did his residency training in Physical Medicine and Rehabilitation at the University at Buffalo Consortium Hospitals. He is presently a Professor of Clinical Rehabilitation Medicine at the University at Buffalo School of Medicine and Biomedical Sciences in the Department of Orthopedic Surgery and Sports Medicine. He is also the System Medical Director for Rehabilitation Medicine for the Catholic Health System of Buffalo, NY.